The mitts have a full design on the top and black textured rubberized surface on the back for easy grip. 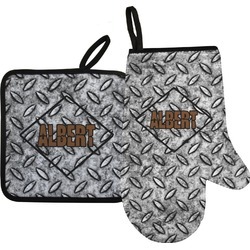 The pot holders are decorated on one side and have a similar black rubbery texture on their back. They have a beautiful black trimmed edge. Both have loops to for easy hanging in order to use for decoration. In our design center you get to decide exactly what your oven mitt and pot holder set looks like. Create a fun design with a background, font, text, ribbon, and more. Have fun designing and ask us any questions you might have! 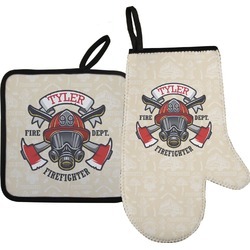 We also have a left oven mitt, right oven mitt, and pot holder sold separately as well. Check out our Kitchen department to find even more great products. 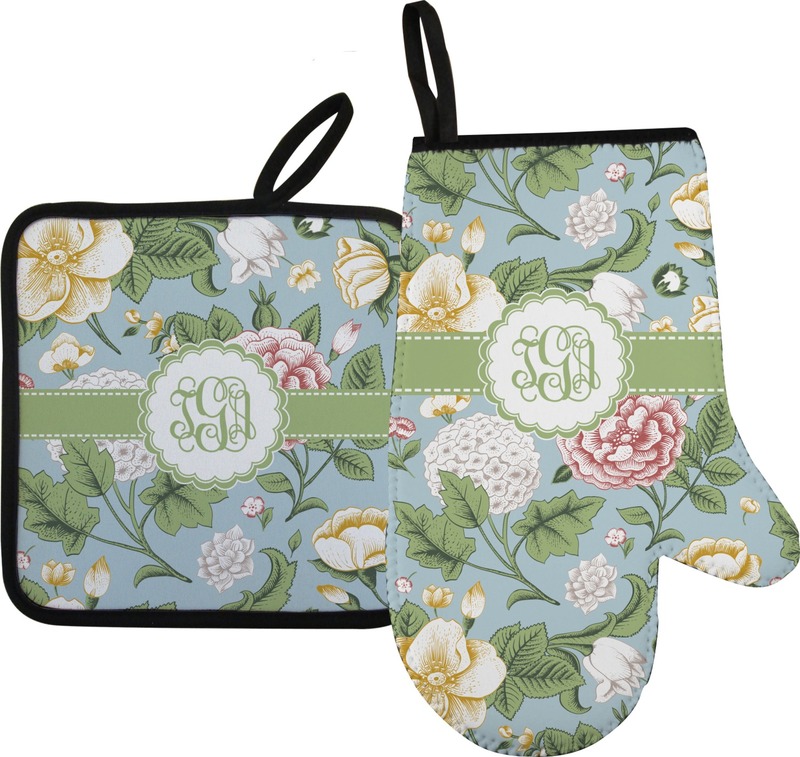 We have kitchen towels, cutting boards, and more! I ordered these and received them so quickly! They are very cute and work great. I’m very pleased with this company and their service. These oven mitts are GREAT! They're nice quality and LOVE the fish design and customization with the name on it. Would definitely recommend them to anyone. Can't wait to give them to my son for Christmas. Thank You all I have received the order and she absolutely loved her gift! This was a gift for a friend and she loves them. So much so nobody is allowed to use them including her husband.